If you were recently arrested for an alcohol-related driving offense, you almost certainly had to make a big decision under pressure: whether or not to take a breath (or blood or urine) test intended to determine your blood alcohol concentration (BAC). Goldberg & Allen, LLP. We offer experienced counsel and representation targeting the best possible outcome. 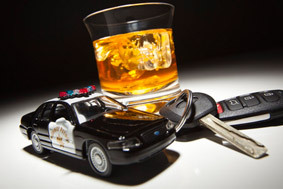 Our decades of experience as high-level prosecutors and active New York City DWI defense attorneys has given us extensive knowledge of your legal options and available strategies when facing a drunk driving charge. If you refused the test, you are entitled to a DMV refusal hearing to determine whether the police gave you proper warnings and followed proper procedures. If we identify problems with the traffic stop or what happened afterward — including the filing of a report by the arresting officer — we may be able to successfully contest your license suspension and other consequences of the test refusal. If you took the test and registered over .08 percent BAC, the challenges ahead are different. You need informed counsel by a formidable DWI defense lawyer such as Gerald Allen, who has successfully challenged the reliability of chemical testing in the past and also obtained DWI acquittals and dismissals by pursuing other defense strategies. Whether your situation calls for a New York breath test refusal lawyer dedicated to aggressive, resourceful defense of your rights and driving privilege, or a DWI defense attorney who will look hard at any video evidence and all aspects of your case,contact us now. You can count on our willingness to hear you out, grasp your specific priorities and take action for you.